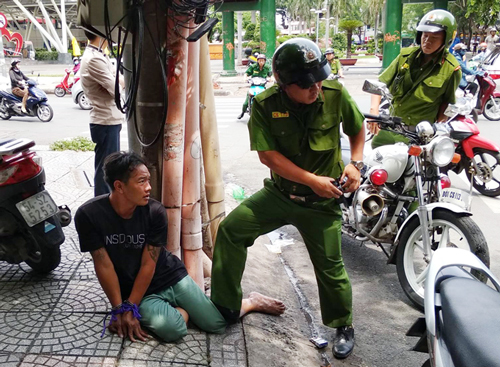 Passersby caught one of the thieves before police knocked down the other..
National carrier pays pilots less than budget airlines based in Vietnam. 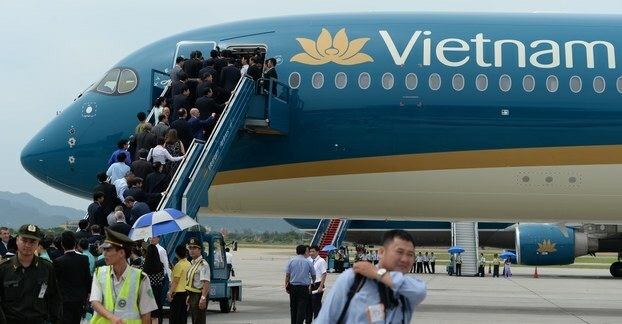 Vietnam Airlines is flying high in regional rankings as one of the top carriers in Asia, but there are rumblings of discontent among its pilots, who are quitting in significant numbers, citing low pay and benefits. A VNA official who did not want to be named told VnExpress that 7 pilots had tendered their resignations last month. And at a recent internal conference held by the carrier, A350 captain and flight trainer Pham Tien Nga said 12 of his co-pilots have turned in their papers. Also last month, a joint petition was submitted to the government by 16 pilots, saying they were forced to leave the national carrier by low pay, unsatisfactory work conditions and severance policies. In its yearly report last year, VNA said the average salary for its pilots was VND121 million ($5,300) per month. However, a VNA co-pilot who wanted to stay anonymous said he only earned VND50-70 million per month, and the monthly salary for a captain was VND110-150 million. In contrast, the two other functioning airlines in the country, both budget carriers, offer much higher average salaries to their pilots and co-pilots. At Vietjet Air and Jetstar Pacific a co-pilot can earn as much as VND100-120 million and VND110-160 million per month, respectively. For a captain, the monthly salary goes up to VND110-160 million and VND180-240 million per month, respectively. Lower-than-average pay isn’t the only concern that the VNA pilots and co-pilots have. They are not happy that their pay is significantly lower than pilots from other countries who do the same job for the national carrier. Nguyen Anh Tuan, a VNA captain and flight trainer, said his monthly pay was just two-thirds of what foreign pilots make per month. Another VNA co-pilot, Q, said the airline also offers foreign pilots better benefits and personal policies. Foreign pilots get to spend two weeks off for every six weeks spent working, while Vietnamese pilots only get to spend one week off for every nine weeks spent working, the Thanh Nien newspaper reported. It doesn’t stop there. Q claimed that VNA also strategically schedule the pilots’ days off so that they have to work more without getting overtime pay, especially during busy seasons. The way they are being treated is having a negative impact on their motivation and efficiency, Q said. The discrepancies between VNA’s severance policies and the Labor Law are also a point of concern for the pilots. According to their employment contracts with VNA, “highly-skilled employees” need to tell the firm at least 120 days in advance if he or she wants to resign from his or her position, and cannot work for another airline as long as the previous contract with VNA hasn’t been terminated. Pilots say this provision does not comply with the Labor Law, which says an employee can terminate an employment contract on his or her own, giving at least 45 days advance notice. VNA’s severance policies are another sore point for the pilots. Those who terminate their contract prematurely would have to pay back their “training fees,” which could go up to VND3.5 billion. The pilots have slammed such provisions as “irrational,” saying there were no legal bills or documents to verify the actual costs of aviation training. “VNA should publicize the individual costs of all pilot training classes,” Q said. One VNA executive said the salary that the pilots receive every month is “already high,” the Thanh Nien reported. Tran Thanh Hien, VNA’s chief accountant, said at the internal conference that the national carrier already spends 39 percent of its budget to pay its pilots. Responding to the charge of foreign pilots being paid more, Duong Tri Thanh, a VNA director, said it was because of high living costs in the their home countries and the ‘additional costs’ they incurred while working here. On the training fees that the pilots had to repay on premature termination of their employment contracts, a VNA executive said the firm was acting in accordance with the Ministry of Transport’s policies. The amount that needs to be paid varies, based on the pilots’ seniority. One pilot can be required to pay billions of dong, while would only have to pay several hundred million dong, Duong said. He also said the 120-day notice before resigning was reasonable, because being a pilot was a “special” job. “We need a 120-day notice to have enough time to find another suitable candidate for the position. Being a pilot is different from other jobs; you cannot just have someone replace you immediately. One needs to have the proper skills and qualifications to be eligible for the position. Many candidates have undergone our training classes for a long time, but never made it,” Duong said. This isn’t the first time VNA pilots decided to take actions to voice their concerns. In 2015, several of the national carrier’s pilots also called in sick and turned in their resignation letters due to low pay. Vietnam Airlines has been named one of the top airlines in Asia by TripAdvisor. The airline was rated among the 11 best major airlines in the region, according to the travel website’s 2018 Traveler's Choice Awards, which collects ratings on legroom, customer service, cleanliness, food and beverage, seat comfort, value for money, ease of check-in and boarding, and in-flight entertainment. The national carrier reported profits of VND313 billion ($13.7 million) and a turnover of VND 21.3 trillion ($934.7 million) in the fourth quarter of 2017, a 26.8 percent increase from the same period the previous year. Founded in 1956, Vietnam Airlines operates 93 planes, including the new top-end Boeing 787-9 Dreamliner and long-haul Airbus 350-900. Divestment at big loss indicates tougher times ahead for traditional taxi firms in the age of ride-hailing services. 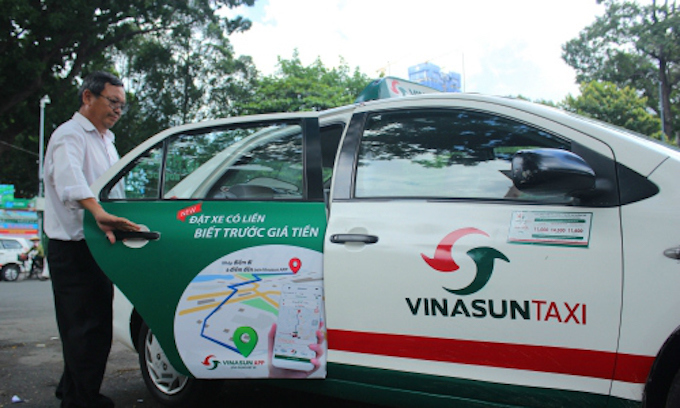 Singapore sovereign wealth fund GIC has made a full exit from its investment in Vietnamese taxi firm Vinasun, incurring a major financial loss in the process. On May 25, GIC negotiated the sale of 5.4 million shares or around 8 percent of its stake in Vinasun at around VND80 billion (US$3.5 million), less than half the price it paid four years ago. In August 2014, GIC forked out VND200 billion ($8.8 million) or VND45,000 ($1.98) apiece for its stake in Vinasun, which means it has suffered a loss of around VND120 billion ($5.27 million) from this investment. The divestment comes as the taxi company performs poorly and its share value plunges. The company has blamed its problems on “unfair competition” from foreign ride-hailing service companies. “Foreign companies tapping into HCMC taxi market with 30,000 cars, and taking advantage of their financial resources and legal loopholes to create unfair competition aimed at driving out local competitors has directly affected our business operations,” said Dang Thi Phuong Lan, Vinasun general director. Ride-hailing services Grab and Uber arrived in Vietnam in 2014, launching both car and motorbike taxi services. The two services have been running on a trial basis since early 2016, cutting deep into the earnings of traditional taxi drivers. Many taxi firms have accused Grab and Uber of unfair competition, saying their businesses have suffered and thousands of drivers have had to quit. Vinasun earned VND4.25 trillion ($187 million) in revenue and VND205 billion in net profits in 2017, down 10 and 34 percent respectively compared to 2016. Last February, it sued Malaysia-based firm Grab, citing “unhealthy competition” and sought $1.84 million in compensation, calculated by the profit loss it says it suffered in 2016 and 2017. But the trial was suspended after the court asked to see more evidence of Grab’s alleged violations. In April, Uber sold its Southeast Asian business to bigger regional rival Grab and exited Vietnamese market. The deal has sparked fears that Grab uses its monopolistic advantage to curb competition, resulting in higher fares and fewer incentives for both passengers and drivers. Vinasun has targeted revenues of VND2.16 trillion ($94.9 million) and after-tax profits of VND95 billion ($4.18 million), this year, 50 percent less than in 2017 and the lowest target in nine years. GIC is one of the biggest financial investors in the Vietnamese market. It has injected some VND15 trillion ($658.8 million) into the country’s major companies, including Masan Group, Vietjet Air, Vinamilk, FPT, PAN Group and Vinasun. In April, it invested $1.3 billion in Vietnamese real estate giant Vinhomes. Vietnamese food businesses have a lot of technology catching up to do in foodstuffs industry, experts say. 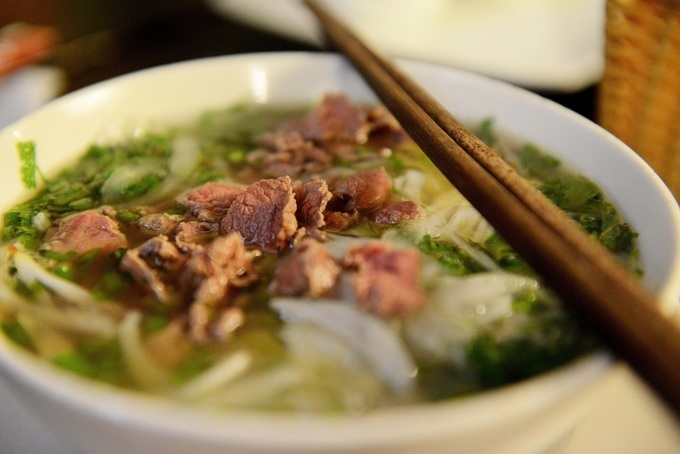 Pho, the fragrant flat rice noodles soup served with beef or chicken, has given Vietnamese cuisine an iconic status. But the company making money by exporting an instant version of the soup to the US is based in Thailand. A representative of Charoen Pokphan Foods Plc (CPF) said at a recent meeting with Vietnamese businesses that the company’s Authentic Asian Chicken Pho Noodle Soup is enjoying great sales in the US. The number of restaurants that serve Vietnamese pho in the U.S. reached 8,900 in 2014 and is increasing, the CPF representative said, citing a study by the Institute for Immigration Research. Vietnamese businesses at the meeting were surprised that CPF’s factory in Thailand is able to produce 200,000 ready-to-eat pho products a day, using a workforce of just 10 workers. CPF said its factory in Thailand was powered by artificial intelligence, and the manufacturing process was completely automatic. Some production lines only require two workers operating via computers, the company said. This manufacturing process results in a “beautiful and easy-to-use package,” said Vu Kim Hanh, president of the Business Association of Vietnam High Quality Goods. With a shelf life of 18 months, CPF’s pho, which requires just two minutes in a microwave, is very convenient for customers, Hanh added. “Vietnam still needs to make many changes to catch up with its immediate Southeast Asian competitors in the agricultural products and foodstuffs industries,” she said. Currently, the number of businesses in Viet Nam’s fresh packed food market is still low, despite some new products from Saigon Food, which produces 100,000 packages each day. CJ Cau Tre offers cooked Vietnamese Hue noodle soup and spaghetti, and the Minh Hung group plans to use high pressure processing to produce fresh fruit juice. Errr real typhoon or you mean got squabbling involving that cockroach cuntry again??? I wonder which idiotic GIC so-called professional highly paid financial advisers had a say in this "good buy or bye"